New Jersey's annual bear hunt began earlier this week, and the death toll so far is startling. On Monday alone, 216 bears were shot and killed, and the hunt doesn't end until Saturday. For over 30 years, it was illegal to hunt black bears in New Jersey, but that changed in 2003 when the state lifted the ban and began to issue permits for limited bear hunting seasons. 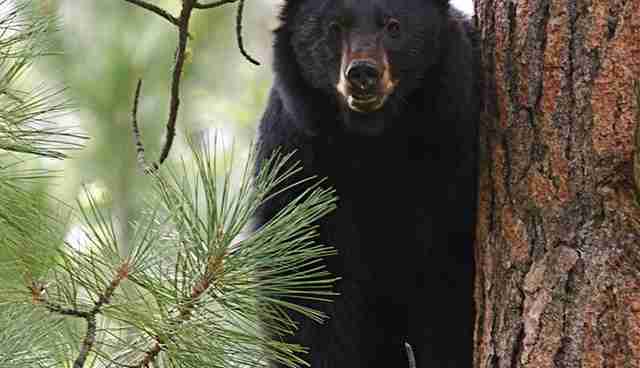 The first hunt in 2003 brought in a total of 328 black bears over the course of six days. 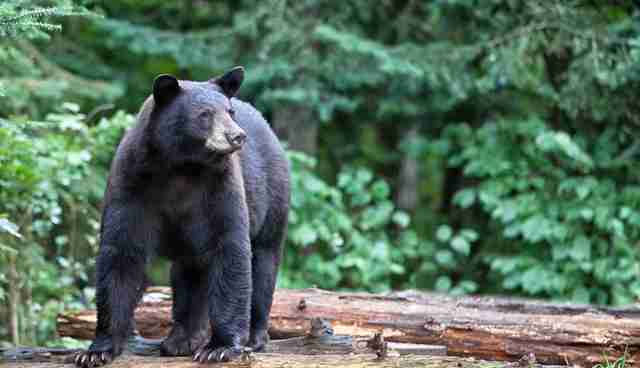 A total of 298 black bears were killed over the same amount of time during the following hunt in 2005. Then, in 2010, the state's Fish and Game Council voted to make the hunt a yearly occurrence for five years, with an average of about 370 bears killed each season. With this year's hunt reaching its third day on Wednesday, the death toll is up to 309 black bears - with four days left to go. Officials granted about 8,200 permits to kill the state's black bears across eight counties, where approximately 3,500 bears reside. It's not an uncommon practice to issue more permits than there are bears. Earlier this year, the state of Florida gave out 3,778 permits to hunt an estimated 3,100 bears in the region. Although there are more hunters than bears, the hunt is capped at 20 to 30 percent of the black bear population or between 700 and 1,050 bears, Larry Hajna, a spokesperson from the Department of Environmental Protection (DEP), told The Dodo. As of now, the hunt is scheduled to end 30 minutes after sunset on Saturday. However, there is also the possibility that the hunt will be extended for a few days if the toll remains under 700, said Hajna. This has yet to be decided by the DEP. Whenever the current hunt ends, the DEP has already approved plans to expand the hunt in 2016, including new territories and an additional season in October. The DEP claims the hunt helps curb the growing bear population and reduces the number of human conflicts in residential areas. "Hunting is an important tool in maintaining an ecological balance with our black bear population and is necessary to reduce the potential for conflicts between bears and people, particularly in northwestern New Jersey, which has the state's densest bear population," Bob Martin, DEP commissioner, said in a statement. Along with habitat conservation and promoting safe encounters between humans and bears, the hunt is one of the DEP's efforts to keep both species safe. However, for now, one of the methods to achieve that goal includes killing an alarming number of families.